Too many candidates in the campaigns promised an improvement of public transportation in Pristina, but so much was said and so little was done in this direction, and what the municipality failed to do, some teenagers did it. Last week Within the next meeting of “UNICEF Innovations Lab Kosovo” me and my friend Gent Thaci got the chance to present our last project (still ongoing) called “Pristina Buses” which will enable all citizens of Kosovo to watch online all the bus lines of Prishtina, schedules of departures, prices etc. How to get Way points and traces from a GPS device in Linux ? Well basically I’m making this tutorial based in some problems I had in getting especially way points. There are several softwares that can do that kinda job but it was hard of getting only way points. and other stuff you needed… so after I figured out (with the help of some friends) I decided for this tutorial. What Im going to show you is Qlandkarte which Is a perfect software for doing this job on Linux. QLandkarte GT is the ultimate outdoor aficionado’s tool. It supports GPS maps in GeoTiff format as well as Garmin’s img vector map format. Additional it is the PC side front end to QLandkarte M, a moving map application for mobile devices. QLandkarte GT is the proof that writing portable applications for Unix, Windows and OSX is feasible with a minimum of overhead. No excuses! 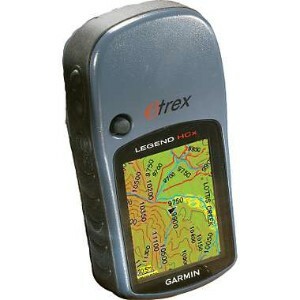 OK in this case I used Garmin Etrex LegendHCx: and I’m going to show you step by step..